The White Tree (book one): In Mallon, the dark magic of the nether has been banned for centuries. Its users have been driven out or killed. Its secrets lost. As he works to unlock the book's power, he's attacked in the street. The nethermancers aren't gone—and they want their book back. Caught between death cultists and the law, Dante fights for his life, aided by his growing skills and a brash bodyguard named Blays. Together they're drawn into a centuries-old conflict that brings Mallon to the brink of civil war. Surviving won't be easy. But if they make it out alive, they'll step down the path to becoming two of the greatest warriors the world has ever known. The Great Rift (book two): Dante and Blays have averted war against their new home of Narashtovik. But they didn't do so alone. It's time to repay their debts. The Black Star (book three): Narashtovik has been saved—but Dante and Blays' friendship has been destroyed. Blaming the Gaskan king for the loss of his love, Lira, Blays infiltrates the enemy nobility. There he schemes to bankrupt Gask and drive its ruler from the throne. But Dante's been waiting for Blays' return. If he finds and exposes him, Blays will be executed as a spy. Listened to this title while driving class 1 shift work. Looked forward to every shift just so I could continue this book until completion. Clear narration easily heard over the road noise of a big rig. My favorite chapter is around part 5 - 6 when the main character truly grasps the magical powers within himself. While using them for the defense of others, some unavoidable casualties were inflicted. 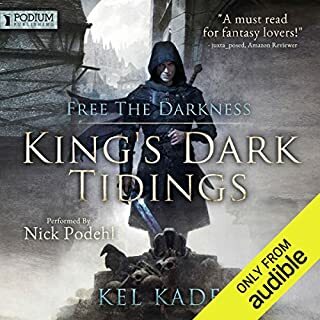 If you enjoy fantasy and have the time to listen, this title is time well spent. Story line is awesome, and the narration only adds to the story. 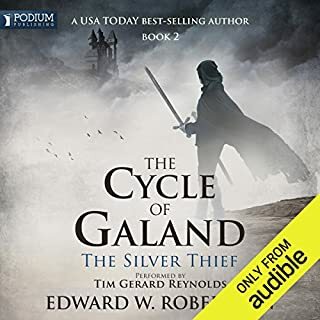 Great value for money and thoroughly enjoyed listening to the trilogy. a very fantastic long book for people who need to listen to books at work! 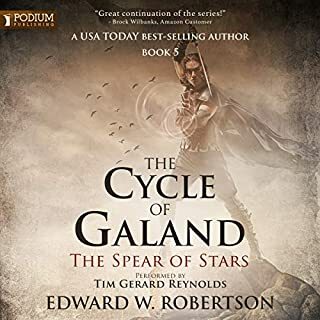 I greatly enjoyed the Cycle of Arawn and have continued to follow the sequel series the Cycle of Galand. The most important thing to know about the series is that the plot is secondary to the characters, specifically the two protagonists. The book is built on their relationship and upon their banter and while there is always some exciting crisis requiring their intervention (or caused by it) their interactions and dialog are the main focus. 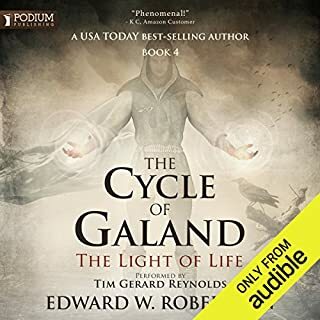 Tim Gerard Reynolds does a fantastic job of capturing their relationship and their banter, and his performance makes this audiobook worthwhile. That isn't to say that the plot is not interesting or engrossing, just that it is not what makes these books great. The main criticisms I have seen while reading through the reviews fall into two categories. The first is that the readers did not like the main characters and felt that they were not good enough in the moral sense. While the book is entertaining and much of it has an almost lighthearted feel to it, readers should be warned that the protagonists are not heroes. They lie, cheat, steal and kill throughout the series and while there is development and growth, they not become knights in shining armor. The series follows recent trends towards making more interesting, flawed characters (which in my view is a positive.) But if you are looking for champions of good who fight back the dark forces of evil, look somewhere else. Blayse and Dante invariably try to do what they think is best for them and their allies, but a lot of people still end up dead. The second category of criticism is that the two protagonists constantly find themselves needing to rush off and complete some quest, save some people, yada, yada, yada. This is true and inherent in the genre and eventually lampshaded in later books. But to reiterate, the plots, while fun, are a setting for the main characters to interact, quip and generally be entertaining as they try to "save the day" or at least muddle through without getting themselves or too many others killed. You could toss the two in any setting and still get a book worth listening too, and to some degree this is what the author does. The book does start off a bit slowly, but if you stick with it, it quickly and obviously becomes well worth the wait. 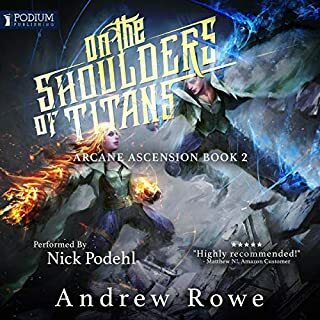 Would you listen to The Cycle of Arawn again? Why? 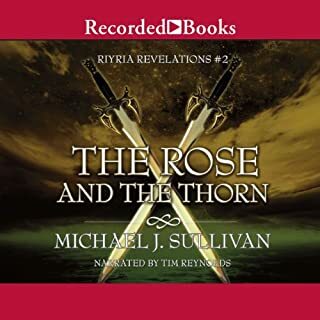 I might go back and listen to the first book again, this trilogy is so long I've forgotten some of the first book already! I liked the fact that it never dragged over 65 hours! 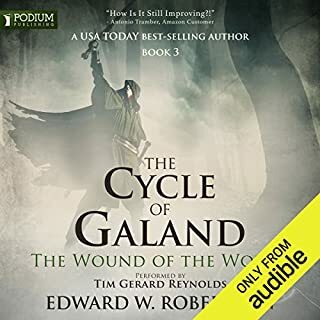 Reynolds may have even improved since he narrated the Riyria Chronicles! Ha ha. 65 hours is too long for any one sitting! I don't agree with people complaining about so many of the characters being smart-alecks. 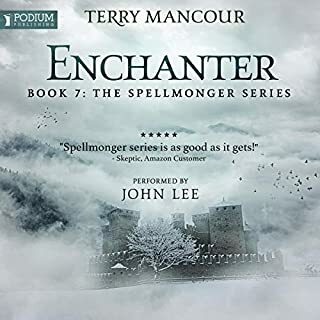 I enjoyed every bit of the wise-cracking repartee and just accepted it as a cultural thing common to this fantasy world. 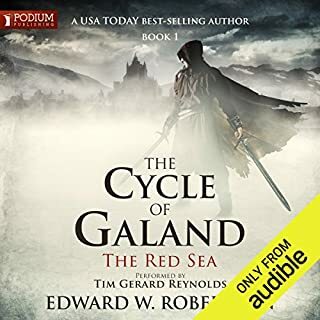 This "Cycle" reminded me a lot of the Riyria Chronicles. 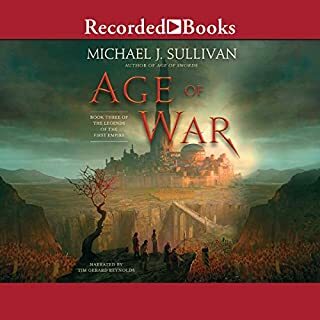 I'd say it doesn't quite measure up to Riyria, but it was still quite enjoyable and I hope there's even more to come in this series. 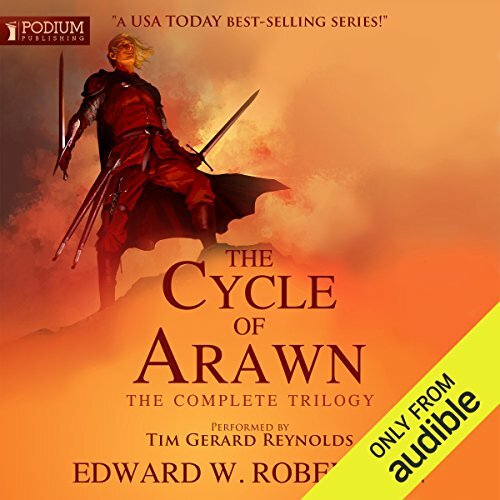 Would you consider the audio edition of The Cycle of Arawn to be better than the print version? 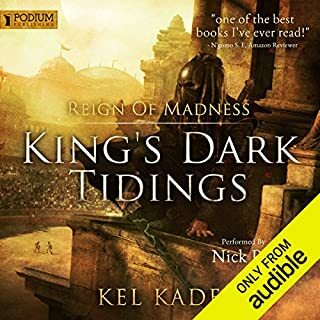 he did as good on this as he did on The Riyria Chronicles, one of the best fantasy stories I've ever listened too on audible. 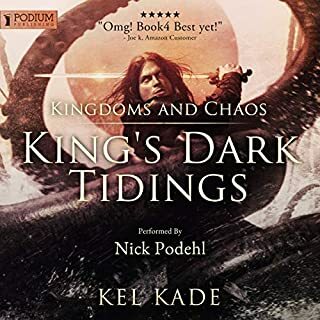 if you've read The Riyria Chronicles, and loved it, you'll like this slightly darker world with two similar pals. Dante and Blaze are a lot of fun to listen too as they go back and fourth with each other and the others around them. your crazy not to spend one credit on 65 hours of fun entertainment. After a sluggish start, couldn't put it down. Picked this up as a commute time filler and was not disappointed. Excellently crafted storyline surrounded by well developed characters compelling the reader for more! I picked this book up because it's the complete trilogy- basically 3 books in one; a total of 65 hours of listening. That's a pretty good deal for one credit. But this isn't exactly "solid fantasy gold" you're getting here either. Let's start off with the good, because it does have it's moments. Robertson has a fair bit of depth to his characters as both individuals and the way they interact. In fact, that is probably the book's real strength- the character's relationships and their dynamics. Everything else is really just background to tell the story of the people involved in them- if you keep the objectives blurry and look at the plot from the corner of your eye, and focus on the people, then the story is intriguing. One artifact is central to the 1st book as the reason behind everything, yet is dropped and never mentioned by the 2nd book- nor is it ever explained exactly why it was so important. 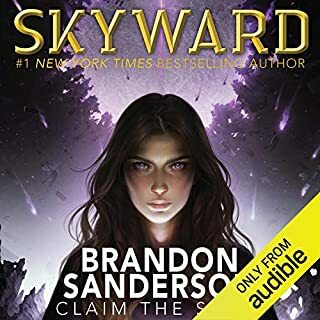 The protagonists, who are trying to get it back from the "heroes", just decide to give up looking for it in the middle of the 1st book, until at the end of the 1st book, at the climax, when the lead hero says "oh, here it is, I've had it all along..." to the people he is trying to kill. Then they have a plot twit, and the "heroes" decide: "Let's just kill everybody", and you are just sitting there going "what was even the point of this story again?????". Confused? Yeah, reading it doesn't really make things any clearer. It's horribly frustrating. I almost gave up at the beginning of book 2 because I really stopped caring about what the heroes were up to because, basically, they are stupid and their actions don't really make sense. Maybe it gets as good as the "Star Wars" prequels logic by the end- but it never really exceeds that level. The main characters also have some real flaws with drawing the line between good and bad that I don't think the author really does a good job of sorting out. The The book starts off with the main character murdering someone in "self defense", but it was also because he (the hero) stole something. So, if someone is going to kill you because you stole something, then it's better to kill them 1st than return what you stole... I don't know how righteous that makes you as a person. And I'm fine with a story arc where the character evolves and learns to change from broken to whole, but that journey has to make some sense. He can't just be killing people in one scene, and then be ready lay his life down to save others in another scene, but then killing in another- it doesn't make sense where he is drawing his lines or why they are moving, except maybe on an elementary school level of reasoning. The 2 main characters relationship, which is the real story here (and it's as "brothers" in every sense, in case that statement has weird connotations) also start out oddly. In the beginning they pretty much hate each other; yet it changes quickly and drastically to a very strong bond between the two. But it happens too quickly and without enough reasoning to really make sense. So, if you are looking for a book that is about the people involved in the story and can ignore the story itself, then this will probably be interesting to you. But if watching movies like "Transformers" and the 3 "Star Wars" prequels drives you nuts because what is happening makes little sense, then this book will probably just be frustrating. I struggled with the point system for rating this book. In a perfect world, we'd have 1/2 stars instead of full ones, in which case I'd give the overall 2 1/2 stars and the story 1 1/2. It really doesn't rate a 3 star for the overall, but it's not as bad as a 2 star either. Same for the story rating (except 1 point lower). I have to say this was one of my favorite trilogies yet. Besides the quick wit and violence, there were times I thought I was listening to Ryaria. I wish Tim Reynolds could narrate every book I listen too. He can make the phone book interesting. Really good stuff folks, certainly worth the credit!! Funny, sarcastic and full of undead rodents. What did you love best about The Cycle of Arawn? Well, the entire trilogy was a darker spin on your typical fantasy hero's journey. Our two "heroes" start off with a humorously pessimistic view of the world and morality in general. Dante Galand starts off as a gloomy, power hungry, boy who tries to gain a foothold on the world by stealing a book from a bunch of religious zealots and hoping it gives him power to control the dead. He is soon joined by Blays Buckler, an equally sarcastic yet positive swordsman who seeks adventure and fame in his own right. 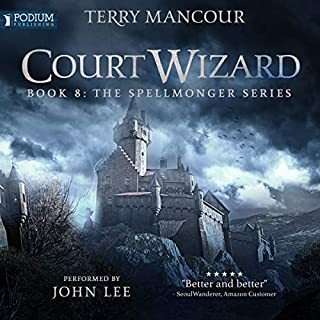 The two spend the entire trilogy getting into trouble and causing chaos in the lives of everyone they encounter, sometimes good, sometimes bad, but mostly a bit of both. Soon their actions begin to effect politics, economics and entire cities. They gain fame, sure, but at what cost? The characters make the story here. It has a humorous mesh of action, reaction, and interaction. Every goal they have turns into a toss up and they scramble to survive the outcome. Reminded me a bit of the feel one would get after watching a "Pirates of the Caribbean" movie. Watching the characters bumbling around and causing chaos is half the fun. He's just funny and acts as a perfect foil to Dante's pessimism. He does a fantastic job. Maintains the right mood and enthusiasm for every bit of the 66 hours of content. I was impressed. No. Are you kidding? This is a whole trilogy. A bit over 66 HOURS of content in one sitting is a bit much don't you think? 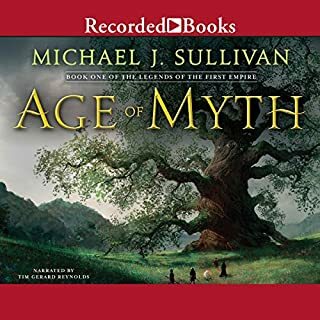 In fact if you want some advice with any audio book this large, then here it is : Trying to listen to nothing but this trilogy until all three books are done will probably start to cause your experience of the story to drag and get tiresome. Again, keep on mind this is actually three books, not one. Break it up to keep things from becoming tedious. LONG book. 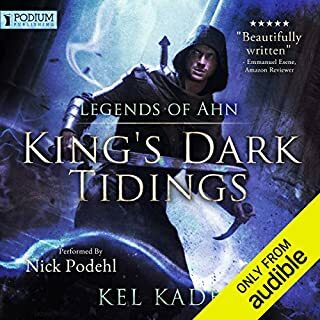 Listed on my audible app as 66 hours and 1 min in length. Next series featuring these characters and setting is the "The cycle of Galand"
This is a hidden gem. I'd never heard of this author before I saw this pop up in the new releases. I however love the narrator and the premise sounded great. It blew me away! 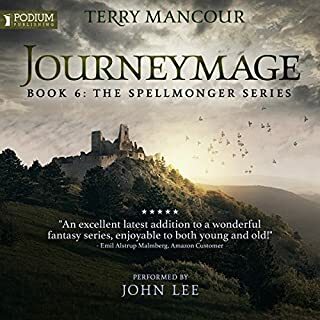 Snappy witty dialogue, deep character development, interesting world and magic system. Very satisfying conclusion and with a new Trilogy in the works. Enjoy the ride and don't rush this experience. 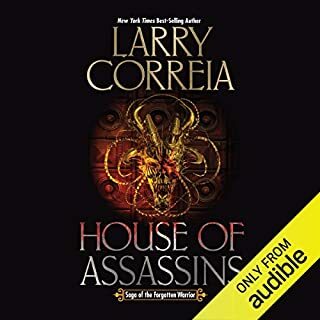 slightly darker hero than I normally care for but I couldn't stop reading and then bought the audio books. great performance by Tim Reynolds. just get this series, you won't regret it!!!!! fantastic trilogy. I enjoyed the repertoire between the main characters. it didn't have all of the classic elements of being able to work with one substance, each individual seem to be able to mold it to different uses.